US crude production increased to 1.2 million barrels per day (mbpd) to 8.7 mbpd in 2014, the largest volume rise since 1900, the date the US Energy Information Administration started keeping records. This is the sixth consecutive year that the US, with the help of horizontal drilling and fracking, has increased crude production. 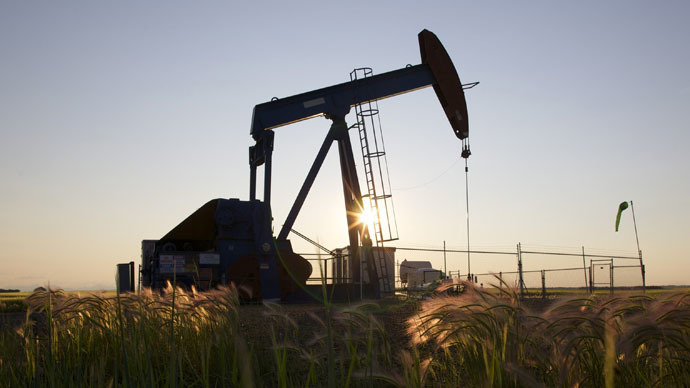 Surges in output hailed from fracking states such as North Dakota, Texas, and New Mexico, the EIA’s report, published on Monday, said. The US shale revolution has made the US a net exporter and not an importer of oil. This major change in output level has had a downward trend on oil prices, which lost more than 50 percent in 2014 due to the global supply glut. In terms of the growth rate, US oil production was up 16.2 percent last year, the biggest increase since 1940 and the largest yearly rise in more than six decades. “Annual increases in crude oil production regularly surpassed 15 percent in the first half of the 20th century, but those changes were relatively less in absolute terms because production levels were much lower than they are now,” the report said. OPEC, the group of 12 oil producing nations, led by Saudi Arabia, has forecast a possible decrease in shale production by the end of 2015, since tight oil production is more vulnerable to low, recently slashed oil prices. Weak global oil market prices have forced several US oil companies to either close down rigs, or worse, file for bankruptcy. In March 2015, there were 734 less active oil rigs in the US, according to Texas-based oil service company Baker Hughes. This compares with the total of 66 lost internationally. The next rig count will be published on April 2 at 1:00pm EST.